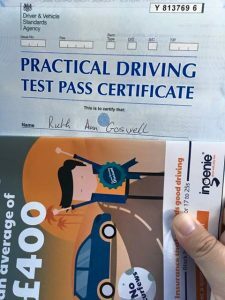 Huge congratulations to Ruth (Ruthie) who has been having Driving Lessons in Paignton with The Driving School sw and over came her nerves and passed her Driving Test First time with only 5 minors. Rob her Driving Instructor said “Best of luck and stay safe. Going to miss our laughs” ?. For Driving Lessons in Paignton, Torquay, Brixham, Newton Abbot & all surrounding areas call 01803 640607 or visit www.thedrivingschoolsw.co.uk.